A “workhorse” helmet, as the manufacturer describes it. Black Diamond has redesigned this redoubtable all-arounder, available now in women’s and as of July/August in the men’s/unisex model. 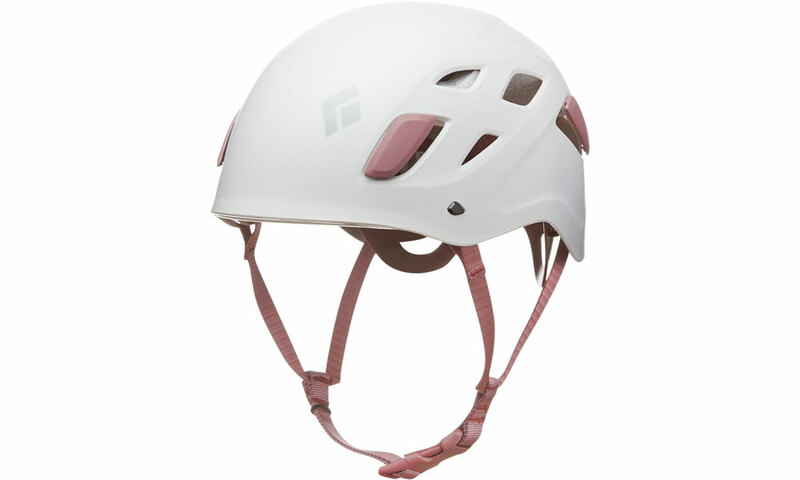 The Half Dome is a nice, light helmet with a great adjustment system. It took a couple pitches to dial in the fit (at first the helmet slid back) but once it is placed right, hooked under the back of the head and dialed in with the wheel adjustor—new this year—in the back, it is really on. For a ponytailed female, it’s hard not to see the ponytail notch in the shell and suspension system as the main event. 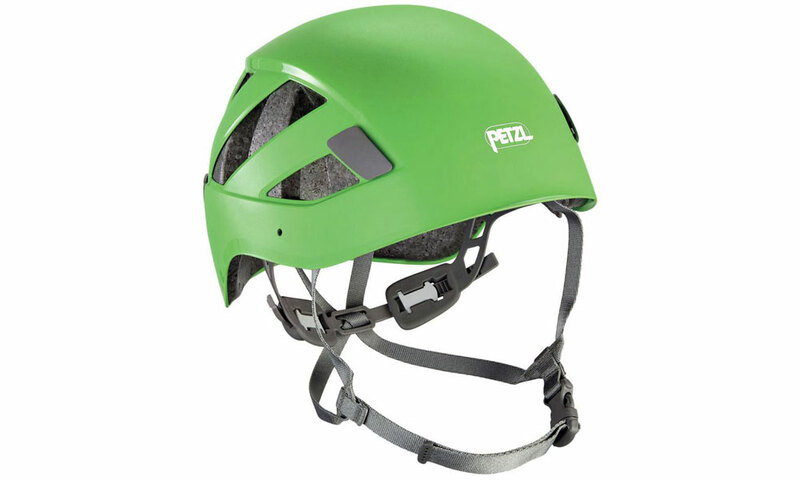 Men’s helmets, from climbing to skiing, push and inch your hair elastic down. They fall off and your hair blows around super annoyingly and whips you in the eyeballs. The new model has increased ventilation, with five vents on each side, up from two, and low-profile headlamp grips. If you were rapping off a long route in the dark, you’d sure be glad to have them or, conversely, sorry to have a headlamp pop off and drop. Perhaps the best news is the great price point. 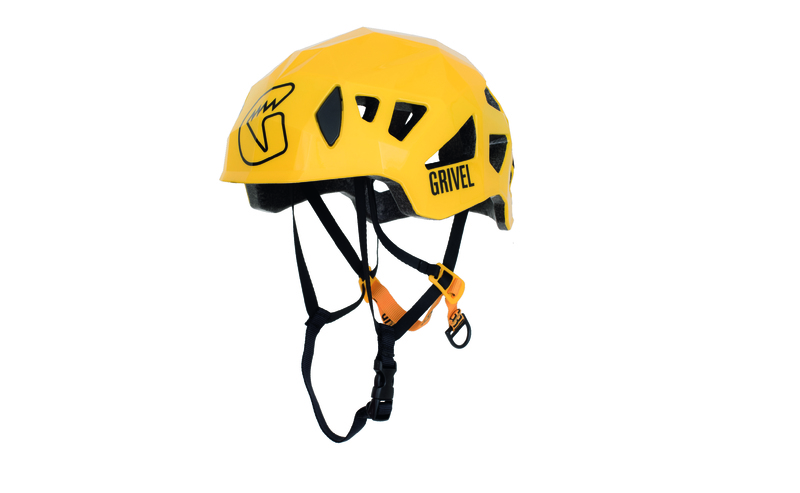 If the usual top consideration is simply wearing a helmet as opposed to leaving it in the trunk or your pack, even more important is having, which means affording, one at all. Rock and Ice vigorously tests all gear it reviews for either 50 days or 50 pitches. This is a time-consuming process and limits the amount of new equipment we can present to our readers. Every year hundreds of new products hit store shelves, and most of these aren’t reviewed due to our stringent selection and review process. To better keep you more up to date on what is new, we present First Look. Gear in First Look has not always been field tested, but is gear we think you’d like to know about as soon as it is available. Some of the gear will be reviewed using our 50 days/50 pitches criteria, in future print and online editions of Rock and Ice.